Tino Schneider joined LALIVE in 2016. He specialises in international commercial and investment arbitration, with a focus on disputes involving construction projects, intellectual property, merger and joint venture agreements, and issues arising in the energy and transportation sectors. He has acted as counsel in numerous arbitration proceedings under various procedural rules, including the ICC Rules, UNCITRAL Rules, SCC Rules, Swiss Rules, and DIS Rules. Tino Schneider is an active member of a number of arbitration associations, including the German Arbitration Institution (DIS), the Swiss Arbitration Association (ASA), ASA below 40, the Young Austrian Arbitration Practitioners (YAAP), the LCIA’s Young International Arbitration Group (YIAG), and the Young International Council for Commercial Arbitration (Young ICCA). He also currently serves as a regional representative for the DIS40. 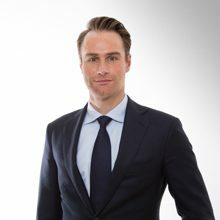 Before joining LALIVE, Tino Schneider worked at the Permanent Court of Arbitration in The Hague (2015), where he provided assistance to arbitral tribunals in numerous investor-state proceedings conducted under the UNCITRAL Arbitration Rules. He previously worked as an associate at a leading German law firm in Frankfurt a.M. (2012-2015), focusing on international arbitration, domestic and cross-border litigation and intellectual property. Tino Schneider passed his first and second state examinations in Munich in 2007 and 2009, respectively. He holds an LL.M. from Columbia University Law School (2012), where he was a Harlan Fiske Stone Scholar. He also holds a Ph.D. in intellectual property and competition law from Ludwig-Maximilians-University in Munich (2014). He was a research fellow at the Max-Planck-Institute for Innovation and Competition (2010-2011) and studied business administration at the University of St. Gallen, Executive School of Management (2012-2014). Schweizer Schiedsort, deutscher Schiedsort – austauschbar oder einzigartig?